Gold and silver futures advanced to kick off the new trading week on Monday. Gold for December delivery added $4.30, or 0.3%, to settle at $1,347.50 an ounce on the Comex division of the New York Mercantile Exchange. "The market has found short-term equilibrium, with strong bullish bias keeping prices elevated but insufficient impetus as yet to push us to new highs," Bloomberg News quoted Tai Wong, the director of commodity products trading at BMO Capital Markets Corp. in New York. "The next impetus driver should be Yellen at Jackson Hole." Gold futures ranged from a low of $1,340.90 to a high of $1,349.10. They edged lower by less than 0.1% last week. Meanwhile, silver for September delivery climbed 14.4 cents, or 0.7%, to settle at $19.847 an ounce. Silver futures traded between $19.70 and $20.05. They declined last week by 0.6%. October platinum shed $13, or 1.2%, to $1,116.30 an ounce, ranging from $1,115.10 to $1,135.80. Palladium for September delivery rose $1.45, or 0.2%, to $692.25 an ounce, trading between $682.70 and $696. Last week, platinum declined 1.9% and palladium fell 0.8%. Gold declined $12.80, or 1%, to $1,339.40 an ounce. Silver rose 3 cents, or 0.2%, to $19.90 an ounce. Last week in London bullion prices, gold gained 0.9%, platinum was unchanged, silver fell 1.7% and palladium lost 0.7%. 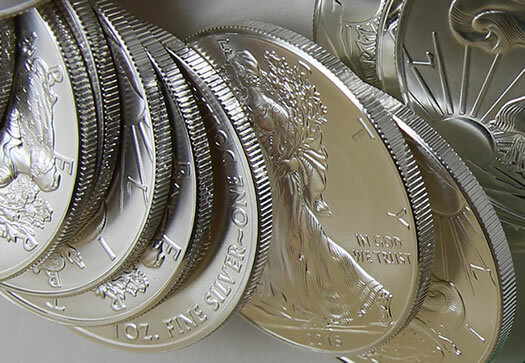 United States Mint bullion sales advanced on Monday by 56,000 ounces in silver coins. 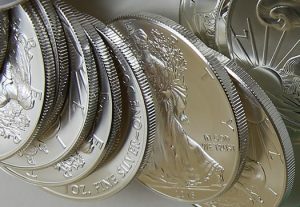 2016 American Silver Eagles topped the milestone of 28 million coins. Their sales had been on a record annual pace until August. Their total now at 28,000,500 coins is 5.1% lower than through the same time in record-setting 2015. For the first day in 2 months, the US Mint sold just 200 of the HF 5-oz silver bullion version ATB coins to its 13 worldwide bullion coin APs. They are back from the dead! Can I get an Amen!? @Seth – Bet you the Teddy Roosevelt 5 oz ATB sells more than 34K. I bet so too! The APs are just waiting with baited breath to get their hands on the TR bullion 5-oz ATB pucks & charge a higher premium due to popularity.